What Is Your Insurance Company’s Claims Reputation, and Does It Even Matter? Are You Looking for Cheap Insurance in Cincinnati? 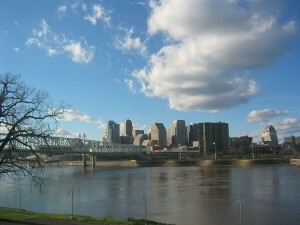 You might be making a grave financial mistake by purchasing the cheapest Cincinnati insurance policy that you can find! Call 513-662-7000 to receive Cincinnati insurance quotes from companies providing coverage value, versus cheap insurance coverage in Ohio. We offer free online quotes click on: Insurance Cincinnati. Why Cheap Insurance Is a Bad Deal for Consumers? A handful of insurance companies by means of television advertisements have cleverly convinced a majority of Americans that the price you pay on your insurance is the only thing that matters in your insurance buying decision. Each day insurance companies emphasize this point through their various television commercials. You would be hard-pressed to find an insurance commercial that doesn’t claim they can save you money on your insurance. Let me ask you this simple question: What is the reason why we purchase insurance? Isn’t it to pay claims? For instance if our house burns down we want money from the insurance company to rebuild. If our 17 year old son decides to master hill hopping techniques and slams the family car into a tree with two of his best friends, you want make sure that your insurance company is going to be there for you when you are sued right? So if the most elemental reason why we buy insurance is to pay for claims, should we not be asking the most important question? How Good Is Your Cincinnati Insurance Company at Paying Claims? Because insurance companies have conditioned the general public to believe that price is the most important factor, the question, “How good are you at paying claims?” is never even considered. In reality it’s the most important question that is never asked by consumers when they are shopping for insurance. Why is it that insurance buyers do not take into consideration the claims reputation of their insurance company, or the company they are thinking about switching to? Because we have not been trained to think about it. We have been trained by insurance advertisements to take into consideration only one thing, and that’s the price we pay for the insurance. Insurance companies have skillfully educated consumers to think of our pocketbook first as if nothing else matters. But the question: “How good are you at paying claims?” is vital because claims satisfaction among insurance companies differs wildly. Some insurance companies are far better at claims satisfaction than others, while other companies have a lousy claims reputation. The biggest mistake consumers make about insurance is that they do not take into consideration, the claims reputation of their insurance company. How can we learn about the claims reputation of an insurance company? We will consider that in a future article. Buy Insurance From a Cincinnati Insurance Company that Will Not Low Ball Your Next Claim! We represent companies that are more interested in treating policyholders right versus protecting profits for share holders. Call us today for a a free comparison at 513-662-7000 or click on insurance quotes Cincinnati.